Expect celebrities, Sci-Fi props and vehicles Titan the Robot, an army of professional costumed characters, stalls, live music, food court, beer tent and everything that has made this a sell-out event over the past few years, with more still to come! NOTE: No dogs (apart from assistance dog), smoking is prohibited within the whole area, inside and outside. All guests appear subject to work commitments and good health. Autograph are charged for and prices may vary. We are also very close to the train station and bus routes. Admission will only be granted by those holding a valid ticket/e-ticket/mobile ticket. All tickets will be electronically scanned, and your hand will be stamped with a unique event stamp on arrival. Admission from 11am only. Children aged 3 years and under will not require a ticket. 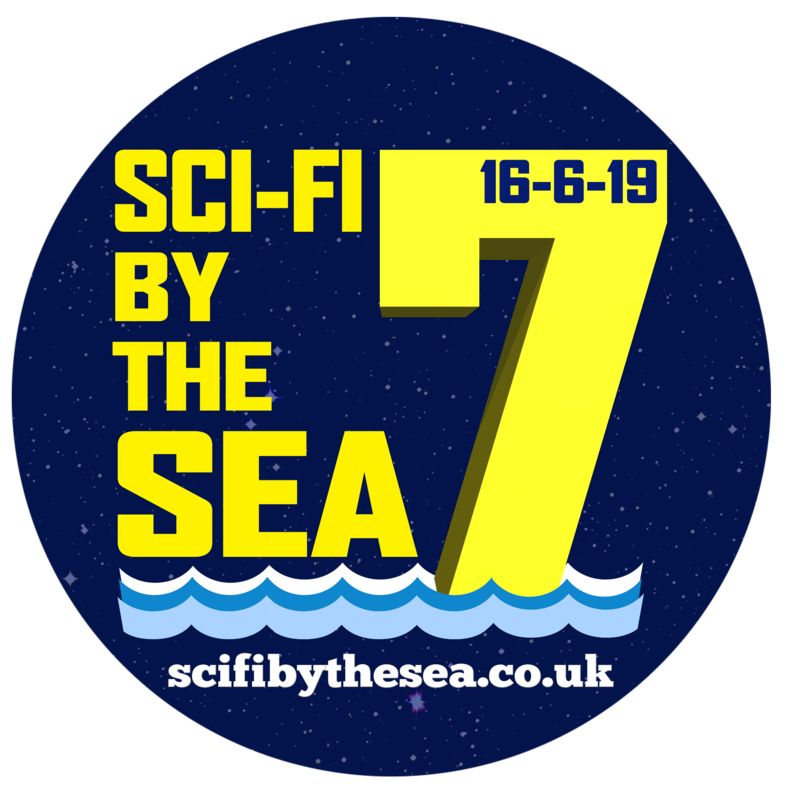 Please note it is your responsibility to check www.scifibythesea.co.uk website leading up to the event for any amendments, line-up alterations, and other unavoidable changes that may affect the event. The venue operates a bag/person check policy and random bags/person will be carried out on arrival. Alcohol may not be brought on to the premises. You may leave and re-enter the venue providing your hand has been stamped. A strict zero tolerance policy applies in terms of any anti-social behaviour and you will be asked to leave by our security team should any any-social behaviour be witnessed. Please drink responsibly throughout the event and drink plenty of replacement fluids such as water or soft drinks to stay hydrated. It’s a criminal offence to use false or borrowed ID to gain entry to licensed premises or to buy alcohol. The maximum penalty is a £5,000 fine and up to 10 years in prison.